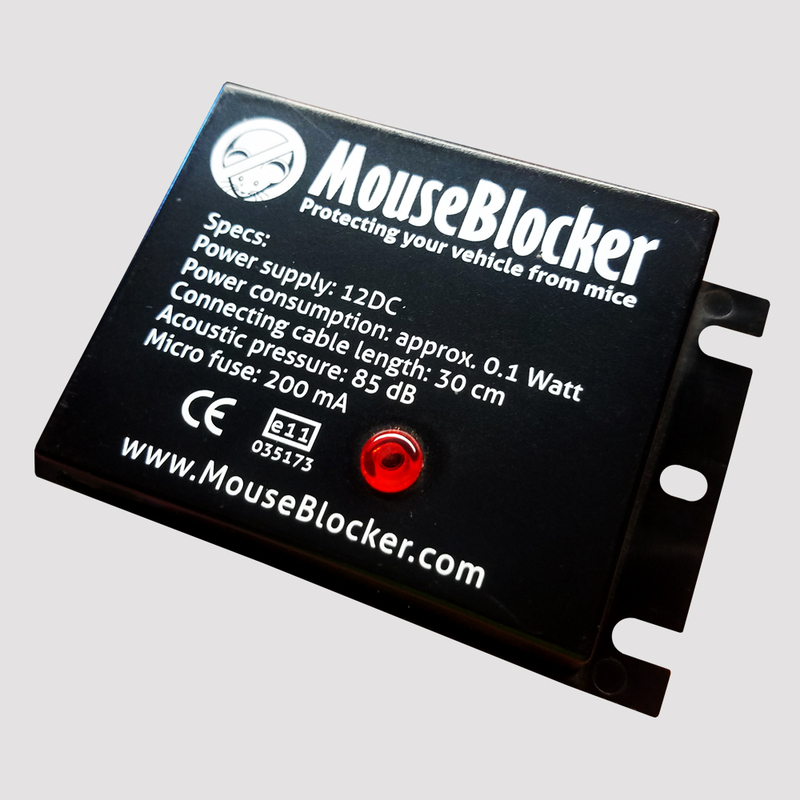 The Mouse Blocker is the worlds first ultrasonic mouse deterrent dedicated to automobiles. 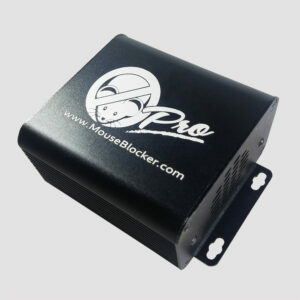 The Mouse Blocker is a 12 Volt powered device releasing an ultrahigh frequency noise (that sounds like a jackhammer to humans) to deter mice from nesting inside your automobile. The Mouse Blocker is designed to protect automobiles from clogged or blocked interior areas, which can ultimately result in severe damage to your vehicle. 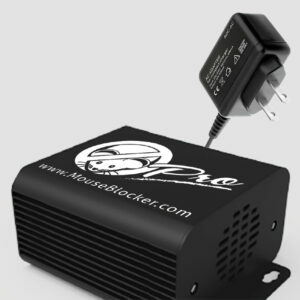 The Mouse Blocker runs exclusively off a vehicle’s 12V battery or anywhere with a 12V power supply so you don’t have to worry about leaking flashlight batteries or extension cords. 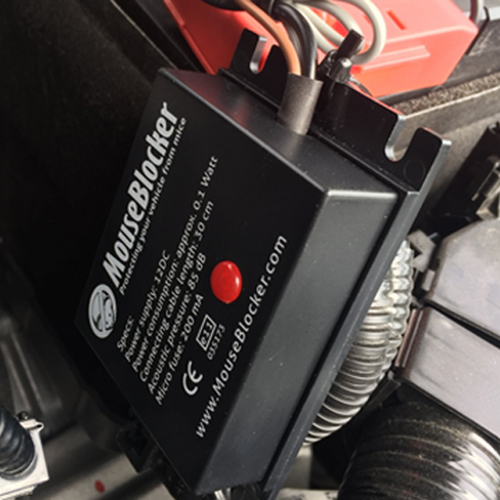 The MouseBlocker installs in your engine compartment and is designed to be stable in this harsh environment. Safe at under high under hood temperatures, stable at well below zero Canadian winters and unaffected by moisture and dampness associated with exterior operation. 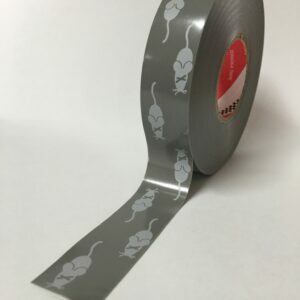 Stable in areas of heavy vibrations like tractors and mowers and compact enough (about the size of a deck of playing cards) to hide almost anywhere. 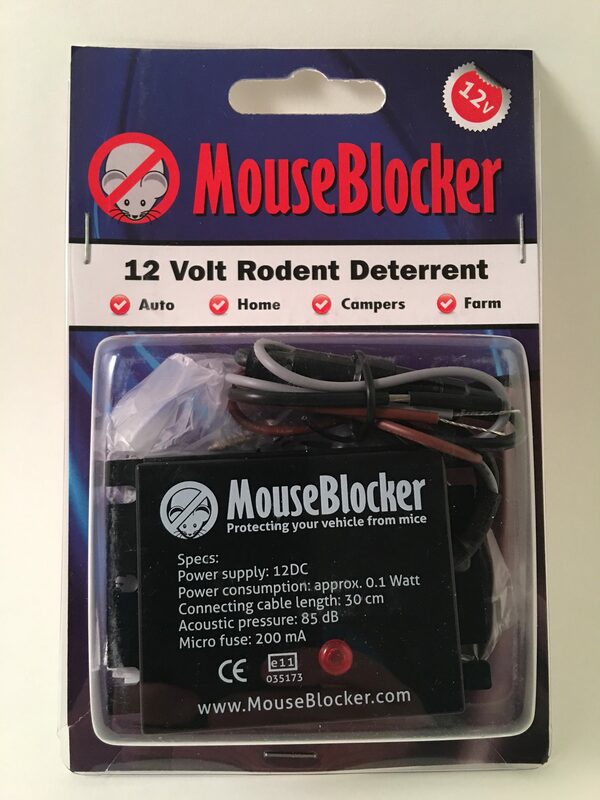 Don’t trust your vehicle to anything else, Protect your vehicle today with a MouseBlocker! !